CuneiForm for Windows XP - a functional tool for text recognition. The application allows you to import any raster images, pdf and djvu files, supports the interaction with low-quality copies, photos, newspaper photocopies and data matrix printers and typewriters. The utility understands more than twenty world languages, contains built-in dictionaries with the ability to add words. The program has an intuitive interface, is able to process data in batch mode, it can preserve the formatting and structure of lists and tables, includes a text editor with import and print functions. 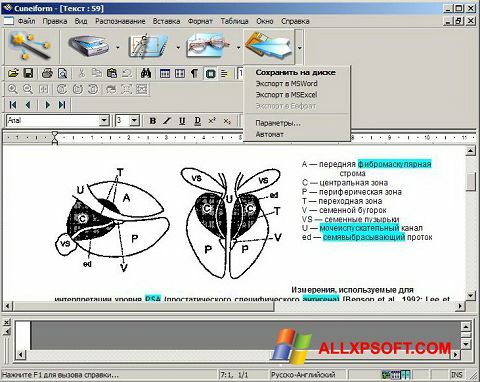 You can free download CuneiForm official latest version for Windows XP in English.